In 1970, about half of all American mothers stayed home to care for their children. That family model has fallen from 46 percent then to about a quarter in 2015. That means that, by 2016, nearly two million parents with kids ages five and younger had to quit their jobs, turn down jobs or change their work schedules significantly because of child care conflicts — and, of course, women have been hit the hardest. Since the 1980s, child care costs have climbed 70 percent and the population of working mothers in the labor force has declined 13 percent. What Could Change if America Adopted Universal Childcare? 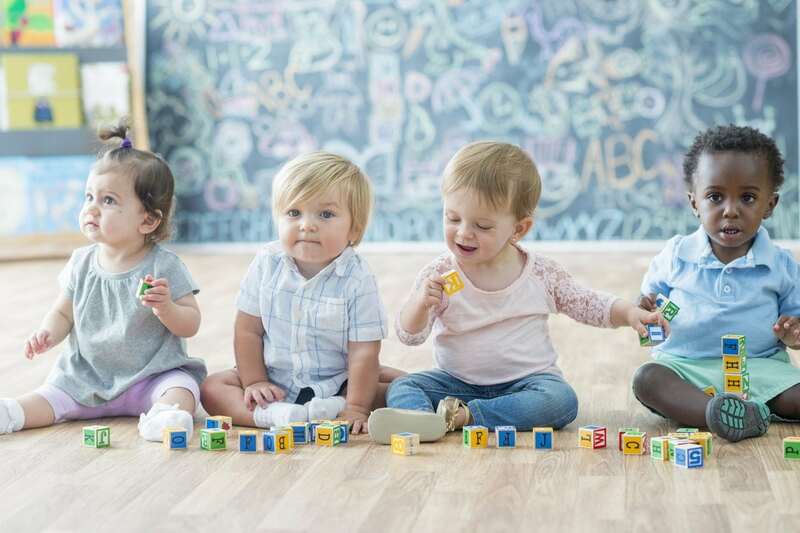 While the cost of childcare is dependent upon where families live, their children’s ages and how many hours a week their child or children spend in daycare, the average cost of daycare in the United States is $11,666 per year (or $972 a month), according to the National Association of Child Care Resource and Referral Agencies. Prices range from $3,582 to $18,773 a year (or $300 to $1,564 monthly), which means that, regardless of how inexpensive a daycare center feels comparatively, it still costs a pretty penny. In fact, annuals costs can outpace what families typically spend on food. Many states, even housing and college tuition. Sure there are options like turning to family or friends, joining babysitting cooperatives, hiring college students for less money. Forming babysitting exchanges with other parents, looking to non-profit centers and more. However, Covert recommends that America consider a child care program for everyone, regardless of income. Nearly eight million families pay these hefty prices for nannies, day care centers or some sort of childcare alternative, according to census data. And though that’s a high number, many parents can’t afford it or don’t even have access to it because they live in “child care deserts”. Where day care centers don’t exist or there are more than three times as many kids as available spots in them. Lawmakers could, instead, create a system that’d make high-quality child care available to and affordable for all American families, for the entire working day, Covert suggests, admitting that it sounds fanciful. Other countries already do so. He refers to France, where parents can send their babies to both publicly and privately run nurseries, called crèches, when their children turn three months old, according to Expatica. The centers, which are open most of the workday and require at least half of their providers to have degrees in early education, charge based on parental income. Once children turn three, they’re guaranteed a spot in the country’s universal preschool program until they turn six, and more than 95 percent of kids are enrolled. To pull this off, France spent about 27 billion euros (about $33 billion USD) in 2013—about 1.3 percent of its GDP. Meanwhile, the United States spends less on child care and early childhood education than all other developed countries except Turkey, Latvia and Croatia, Covert explains. But it wasn’t always this way, and the country doesn’t need to necessarily mirror France. In fact, an America model already exists, Covert says. As women went to work in factories during World War II, President Franklin D. Roosevelt built a nationwide network of public child care centers, open 12 hours a day, year-round, for about $10 a day in today’s dollars, regardless of income, in every state but New Mexico. For each additional $100 a state spent on centers, children who were enrolled later saw a 1.8 percentage point increase in earnings and a 0.7 percent increase in their employment rate. Alas, President Truman closed them when the war ended. Despite the wealth of research that suggested it was working and the positive feedback from mothers who were able to work longer hours and earn more money.